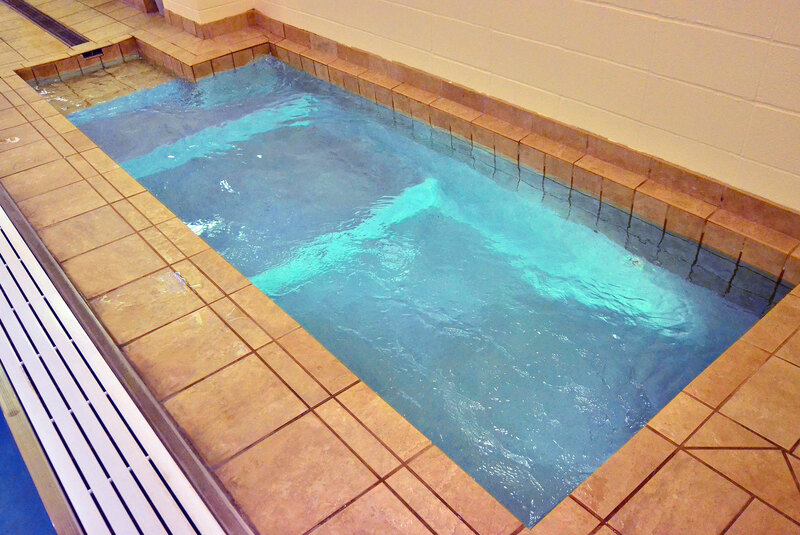 The LAP POOL is primarily for adults and is used for lap swimming. The lap pool is “L” shaped with 6 lanes, 25 yards in length during the summer and 25 meters the rest of the year, with a large side area which is 13 feet deep and conducive to “Aqua-jogging”. Our FAMILY POOL highlights include a “Zero” entry, lazy river (tubes are provided), mushroom waterfall, and huge water slide. 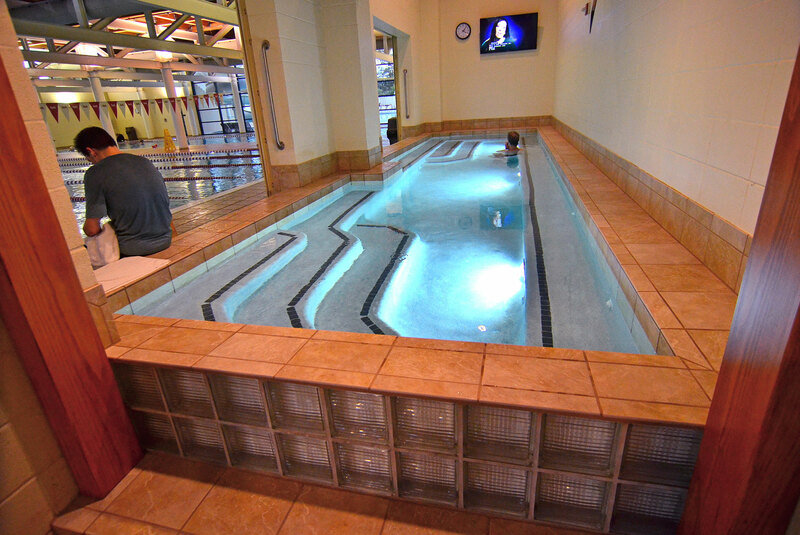 Our 2 INDOOR POOLS are heated at different temperature to suit your preference. 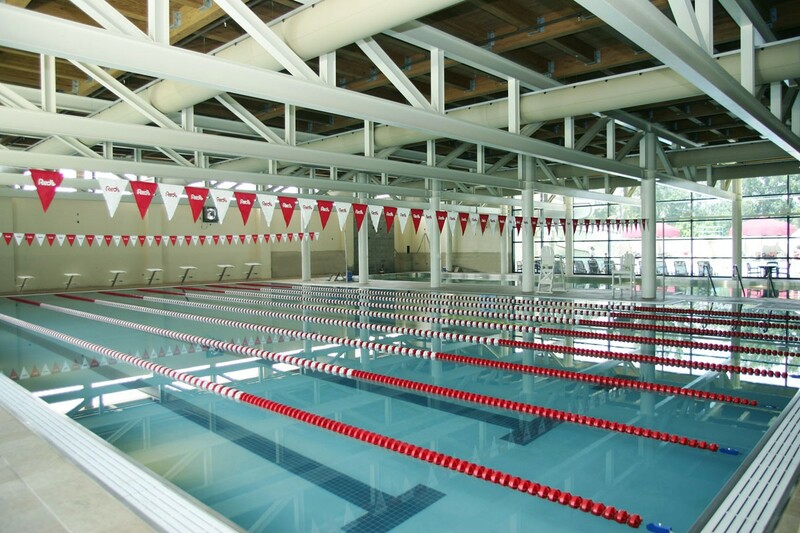 The 6-lane 25 yard pool is heated to approximately 80 degrees and is designated for lap swimming. 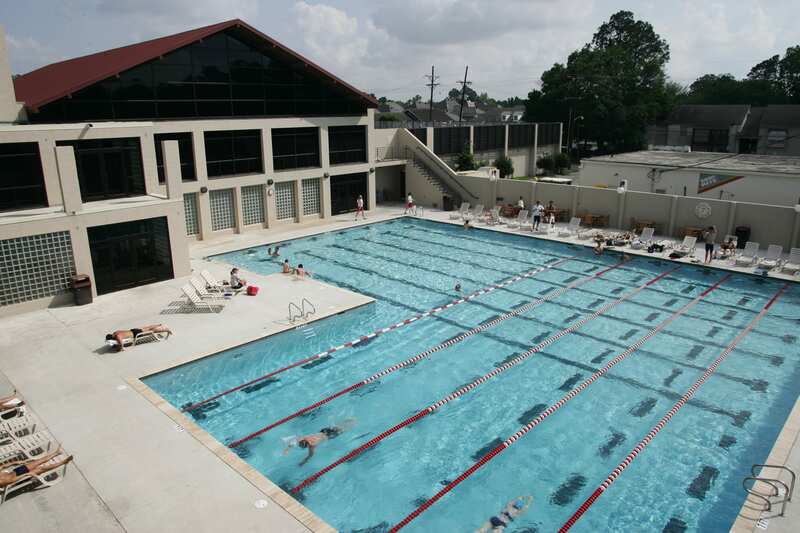 The 3-lane 25 yard pool is heated to approximately 88 degrees and is primarily used for Wave classes, aqua jogging, lap swimming, and swimming lessons. 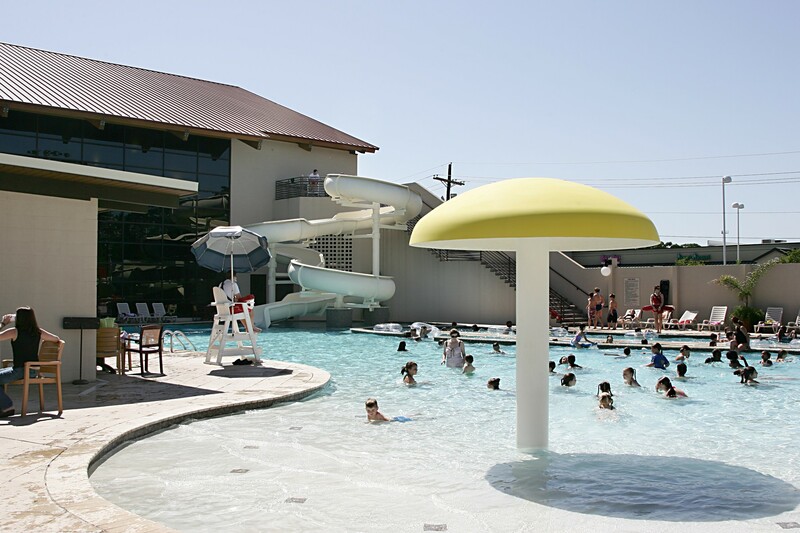 The smaller pool is also available for kid’s play whenever the outdoor family pool is closed due to inclement weather and during children’s hours in the winter. We have a very SHALLOW WADING POOL for the very young. 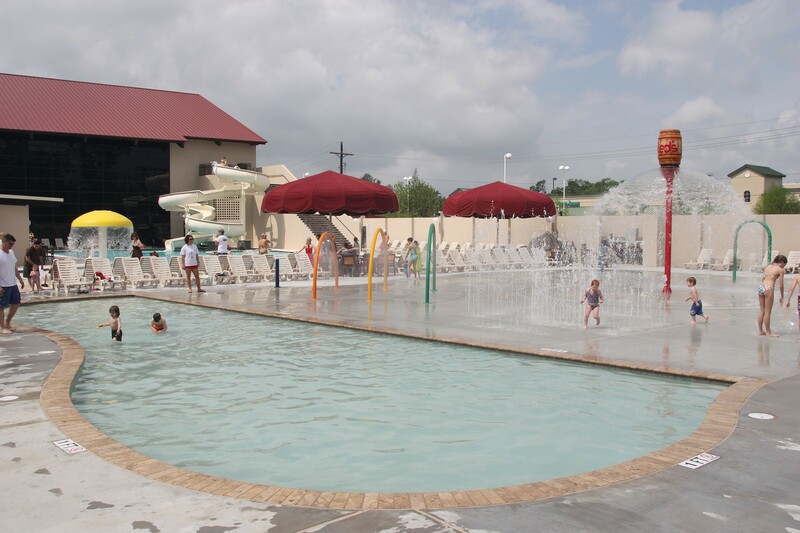 The COLD PLUNGE has been one of our more popular amenities. This 60 degree small pool is designed to create the ultimate recovery and revitalization environment, which stimulates blood circulation and rapidly cools the body. The cold water numbs the nerves around the joint, thereby reducing pain and relieving inflammation and muscle spasms: an ideal environment to treat some types of arthritis, injuries and athletic recovery. Zero entry, lazy river (tubes are provided), mushroom waterfall, and huge water slide. Kids Pool Parties are available to members only during the summer months. Click HERE or call 984-7738 for information. A number of water fountains, sprinklers and attractions including a shallow wading pool. 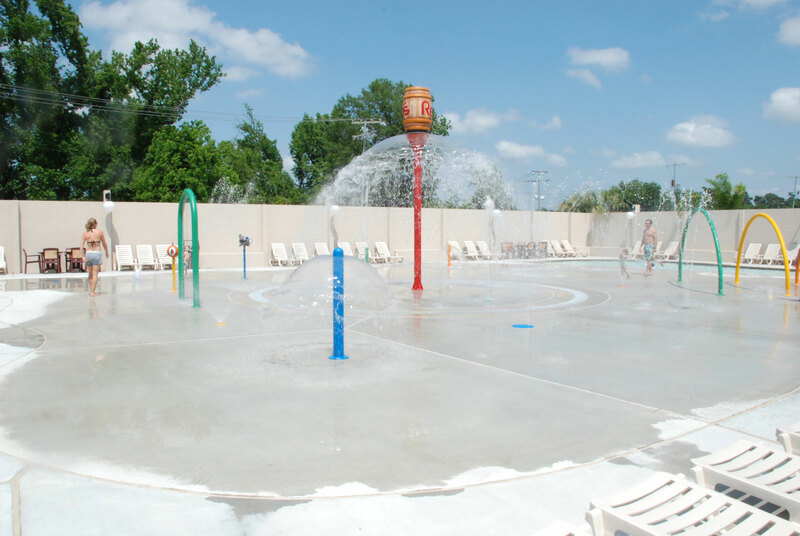 The cold plunge is available for members age 14 and older only. It is kept at approximately 60 degrees and is located inside the indoor pool facility and is co-ed. Must be 14 years or older to use the “Hot” plunge. The water is hot, similar to a whirlpool, but without the jets. It is located inside the indoor pool facility and is co-ed. • Children under the age of 14 are allowed to swim only during children’s hours. Even if a child is swimming with an adult, he is not allowed to swim before or after children’s hours. 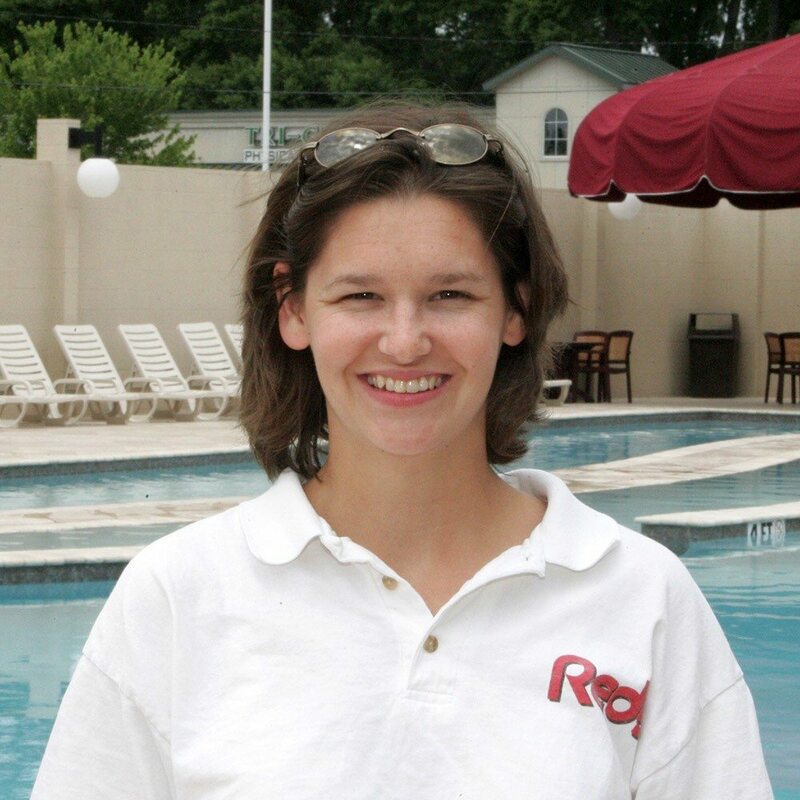 • Children under the age of 14 must be accompanied by an adult when a lifeguard is not on duty. • Adults must swim at their own risk when a lifeguard is not on duty. • CHILDREN UNDER THE AGE OF 9 AND NONSWIMMERS MUST BE ACCOMPANIED AND SUPERVISED BY AN ADULT AT ALL TIMES. • Horseplay such as: running, shoving, yelling or throwing of objects is not allowed. • Profanity, improper behavior, intoxication and vulgar remarks are not permitted. • Glass containers & gum are not allowed around pool area. • Radios are not allowed unless listened to with headphones. • Children with floatees or rings must be accompanied by an adult. • Rafts and large rings are not allowed at busy times. • Wet swimsuits are not allowed inside of building. • Shirt and shoes must be worn inside of the building. • All children under 14 years of age are not allowed in men’s and women’s locker rooms. They must use locker rooms provided for them near the poolside snackbar. • No sitting or hanging on ropes in the pool. • Persons with open sores or rashes are not allowed in the pool. • Persons having medical conditions requiring assistance please inform a lifeguard on duty. • Dive sticks and shark torpedoes are not allowed. • Diving is NOT allowed in any pool. The small pool is reserved during Wave classes and no other swimming is allowed. The large pool is reserved during the Adult Swim Classes and no other swimming is allowed. The indoor pools are designated as exercise (lap swimming or aqua jogging) pools only. (Exception: Kids will be allowed to play in the small pool when the outdoor family pool is closed because of inclement weather and during children’s hours in the winter). During electrical storms and threatening weather, everyone must get out of pool, off of the deck and inside of the building. The pool will remain closed at least 15 minutes after the last sign of lightning.